We all know the famous Bourne film Series starring Matt Damon. There's The Bourne Identity in 2002, The Bourne Supremacy in 2004, and The Bourne Ultimatum in 2007. 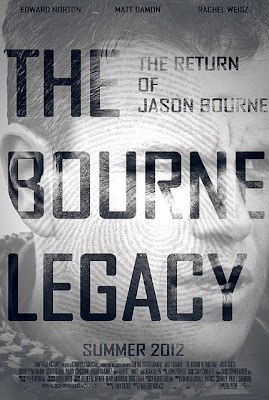 Now good new because the 4th part is coming which is called The Bourne Legacy. Another good news it that 25% of it will be filmed here in the Philippines. Francis Tolentino, chairman of Metro Manila Development Authority (MMDA) said that the film production chose to shoot here. Shooting will be held in Binondo, San Andres, Intramuros and former Nagtahan Bridge, now Mabini Bridge in Manila. Other shooting locations include Navotas fish port, EDSA-Pasay-Taft, Marikina Market, R. Magsaysay Blvd, and Ayala Avenue. Tolentino said a long car chase scene is being planned along Taft Avenue in Pasay City. “The movie will be shown worldwide. Its best that we clean the area first before filming,” said Tolentino. Since areas will be transformed into a movie sets, Tolentino said he will advise motorists for any road closures, intermittent traffic delays and use of alternate routes for motorists and pedestrians. The Bourne Legacy is a spy fiction thriller that stars Jeremy Renner, Rachel Weisz, and Edward Norton. Meanwhile, the Manila City Government has set guidelines for an international movie company to observe while shooting several scenes the "The Bourne Legacy." In a letter to the Philippine producer of the “Bourne Legacy,” Nikolo Juban, last Tuesday, Secretary to the Mayor Rafaelito Garayblas said the city has granted their request to temporarily close to vehicular traffic several areas in Manila. These areas include portions of San Andres St. from January 11 to 15; J. Bocobo corner Remedios streets, January 18 and 19; Leveriza Street, from Balingkit to San Andres, January 15; San Andres corner Quirino and Taft Avenue, January 14); Riverside Road, Real and Sta. Lucia Streets in Intramuros, January 25 and February 17 and 18; Jones Bridge, February 5; and Ramon Magsaysay Boulevard, February 8 to 15.
that's great!I want to see it, when it comes out! i am looking forward to see the movie. i like Matt Damon.